The body of former British PM Margaret Thatcher is to be moved to a chapel in the Palace of Westminster later, ahead of Wednesday’s funeral. 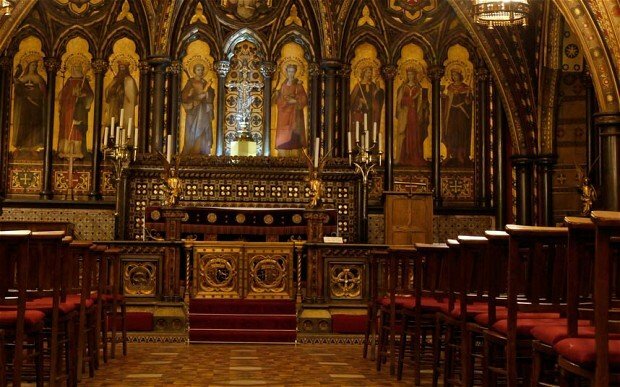 A service, led by the Dean of Westminster, will be held in the Chapel of St Mary Undercroft. MPs are also expected to vote later on whether to cancel Prime Minister’s Questions in order to allow them to attend the funeral. Two MPs are trying to block the plan to delay the start of Commons’ business. Respect MP George Galloway and Labour’s Dennis Skinner have both objected to the cancellation of PMQs, meaning MPs will now have to debate and vote on the plan before the change can be made. If agreed, parliamentary business would not begin until 14:30 BST on Wednesday. George Galloway says there has been “unnecessary fawning” over Margaret Thatcher, who was Conservative prime minister from 1979 to 1990. However, the motion is expected to be passed after Labour said its MPs would not oppose it. Margaret Thatcher, who died at the age of 87 on April 8 at the Ritz Hotel in London, has been accorded a ceremonial funeral with military honors, one step down from a state funeral. The ceremonial funeral will take place at St Paul’s Cathedral, London. Before the funeral, Margaret Thatcher’s body will rest overnight in the Chapel of St Mary Undercroft in the Palace of Westminster. A short service, for around 100 people, will be led by the Dean of Westminster and attended by members of the family, senior figures from both Houses of Parliament and staff from Parliament and Downing Street who knew or worked closely with Lady Thatcher. After the service, the chapel will be open for several hours in order that members of both Houses and parliamentary staff may pay their respects. The Speaker’s chaplain, the Rev Rose Hudson-Wilkin, will then keep vigil in the chapel through the night. It will then be transferred to a gun carriage and taken in procession to St Paul’s Cathedral. St Paul’s Cathedral has published a full funeral order of service for Margaret Thatcher.